New Zealand artist, Rochelle Andrews, has been painting professionally for over a decade. Specialising in “contemporary realism”, Rochelle captures delicate floral scenes beautifully on canvas. This Easter, Rochelle has been asked to participate in the annual Whittaker’s Big Egg Hunt. With Easter literally around the corner, we decided to find out more about Rochelle and this nationwide event! You’re involved in the 2015 Whittaker’s Big Egg Hunt. What is your role in this event and what is it all about? The Whittaker’s Big Egg Hunt features 100 creatives, mainly artists and designers. Each decorates an egg. I was asked by the organisers to paint one. The public follow an app to hunt for the eggs around Auckland, Wellington and Christchurch, and along the way they can win spot prizes. On the 7th of April the bidding ends for 80 of the eggs currently being auctioned on Trade Me for The Starship foundation. 20 of the eggs designed by celebrities have been auctioned already at a public event which took place on the 31st March. Tell us about the egg you created? I was influenced by the classic New Zealand icon the Crown Lynn Swan Vase which has made a comeback in popularity in recent times. I painted my egg to look like a swan egg with its grey and mint outer shell. Within the vase I painted peonies in shades of pinks, reds and white. Hidden are insects for you to find, including a weta, bumble bees and ladybirds. What and where do you draw inspiration from for your artwork? I find my inspiration from gardens, the beautiful golden light at the end of the day, and more recently from vintage 1920-1950s fashion photography. My favourite things to wear are often inspired by the 1950s and by Marilyn Monroe. I wish I had her hourglass figure, although I am happy with mine! The colours I love to wear are black & white stripes and big checks, Navy blue, bright red and crisp white cotton. I also love turquoise and tan, and anything with tassels and fringes for a boho or Americana look. What is your favourite pair of shoes at the moment? My new Miss Sofie Saint boots which go with everything! I also like Mr & Mare. For summer I love espadrilles. I have some red peep toe espadrilles I wear a lot. What is your go-to fashion piece? My anchor pendant and bronze vintage bangle. You have recently moved from Wellington to Auckland, where are your favourite places to eat, drink and shop? Orleans in Britomart with their fun live music, Federal Street Deli and Burger Burger. 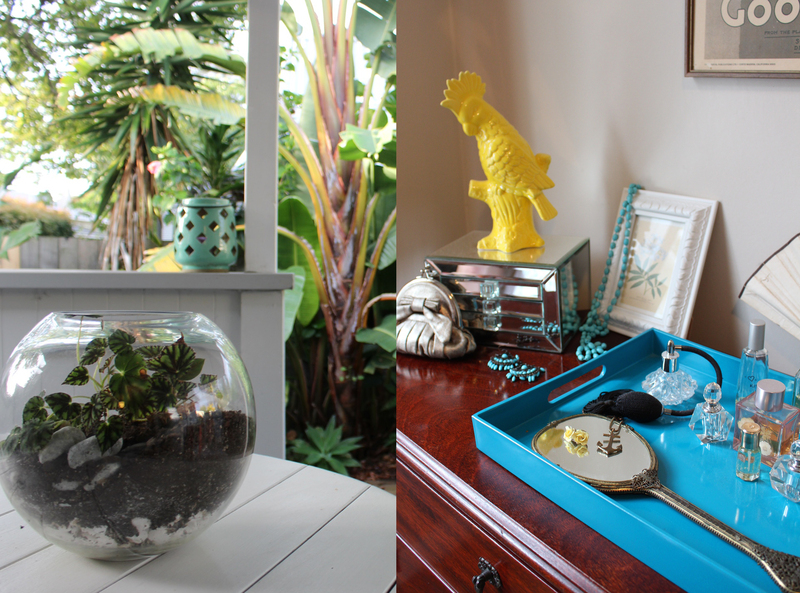 I love to shop in Ponsonby with it’s eclectic mix of young designer, decor and vintage. Where can we find your egg? I can’t disclose the exact location! However, here is a clue: the venue for The Lord of the Rings and The Hobbit premieres in Wellington. How can we all get involved in the big egg hunt? Download the app, join the search, and bid on your favourite egg for your home or garden. It’s for a great cause! Have you got any more creative endeavors in the pipeline? Yes, I have new gallery representation in Queenstown at the Wilson Gallery so I’m working on a body of work for there. I also do Wedding and special occasion Make-up and Styled photographic Portraits which I can then paint for that extra something. I’ve been commissioned to paint anything from portraits of loved ones to peoples private gardens. I’m very soon going to be teaching my own art classes in Auckland so keep an eye out on my Facebook page for that! ‘Like’ my page for updates. What are your plans for Easter break? Relax, hang out with friends and celebrate the meaning of Easter!